9:30 AM Daily start time. -Lunch at an amazing local restaurant or picnic lunch next to the vineyards (depending on the day’s itinerary) * Cost of lunch is not included which allows for more choices for you! You’ll be sure to find your happy place on our full day wine county tour. We’ll take you deep into the heart of wine country, where you ‘ll discover the world of wines from one of the most well-respected wine making regions in the world. What sets Santa Ynez apart is the intimate, down-to-earth quality of the valley- it’s scenery and the people. You enjoy three wine tastings throughout the day, at gorgeous estate wineries and tasting rooms, filled with the character of the valley. We will also stop for a unique olive oil tasting, grown and produced on a locally-owned farm. You’ll learn about the history of wine making in the area, and all sorts of fun pop-culture facts, as well as seeing important landmarks from the Oscar-winning movie “Sideways”. Also included in the day is a stop for a delicious lunch made with local farm-to-table fresh ingredients. To allow for more freedom of choice tour lunch will either be picnic style or it will be a restaurant visit (lunch price not included in tour, and lunch itinerary is determined by your tour director). We can also spin tunes inspired by Cali throughout the tour, for added scenic enjoyment. This tour returns to Santa Barbara roughly between 4:30 and 5:30 PM give or take a few. 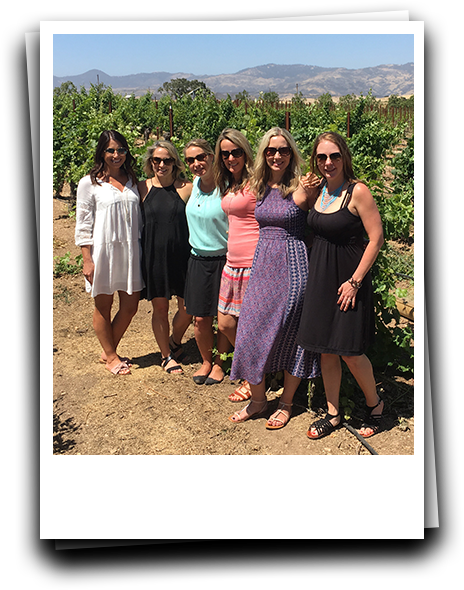 Includes pickup or drop off transportation in the Santa Barbara area, and all tasting fees for (3) wine tastings at gorgeous estate wineries and/or a boutique tasting room or barrel room. You will also have lunch in paradise (lunch fee not included) an olive oil tasting right on the farm, and a visit to Solvang, if time permits.